Halloween 2017 was awesome. Mild weather meant hordes of trick-or-treaters and some great costumes in our neighborhood. 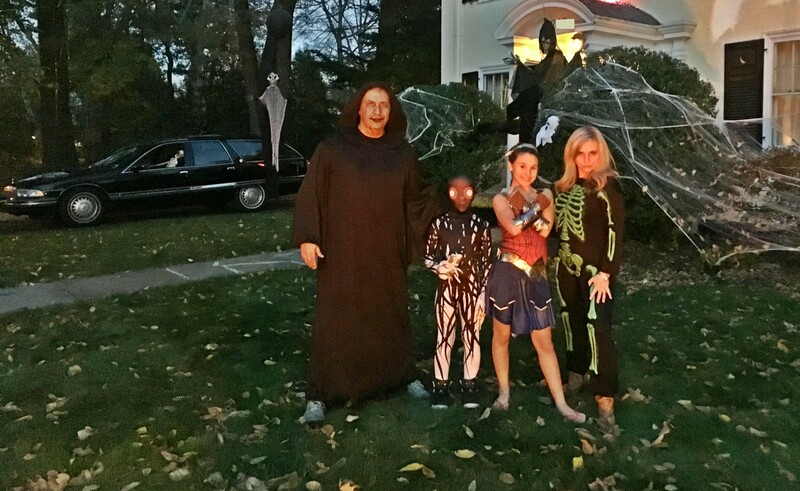 My son was Zalgo, my daughter Wonder Woman, Kara a skeleton, and I was a mess. A last minute trip to Party City got me some green makeup, black lipstick and some fake blood. A Zombie? Maybe. Next year I’ll step it up. 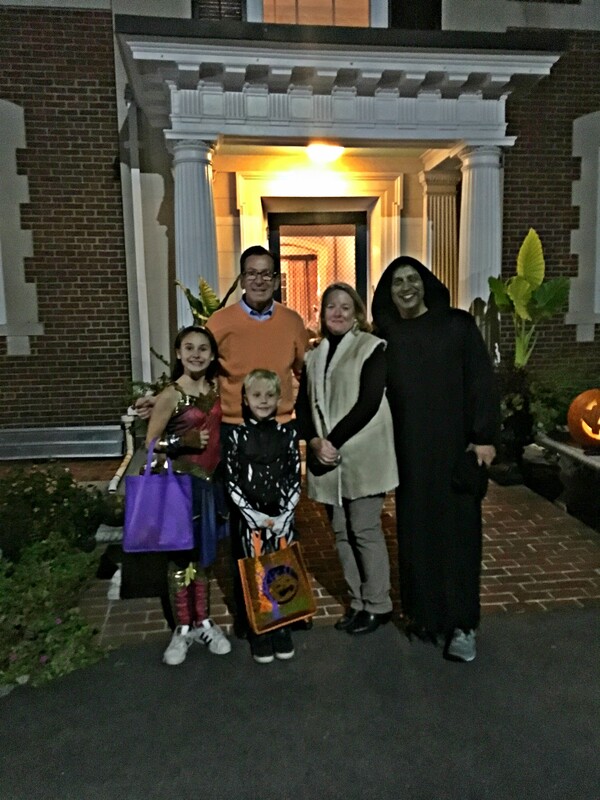 The governor’s residence is a short walk so the kids and I trekked over to see Governor and Mrs. Malloy. There was a long line, and fresh of signing the budget, the Governor gave out UConn candy bars and posed for tons of pictures. 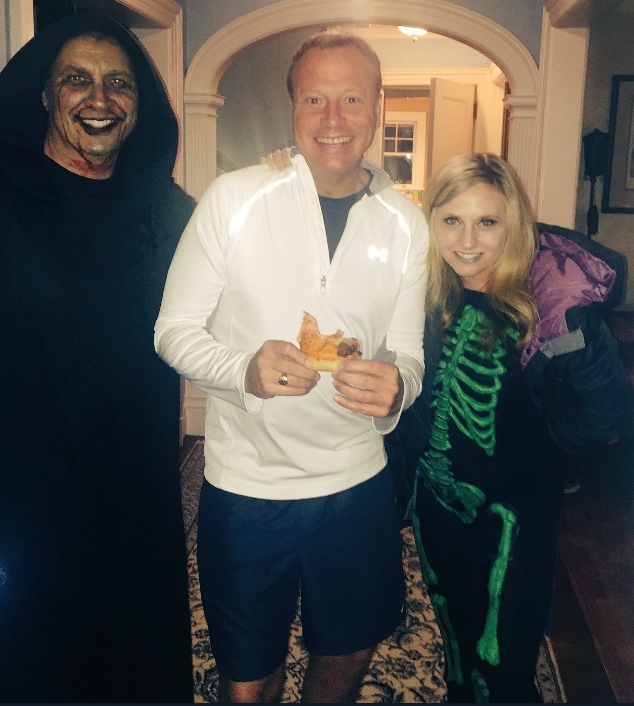 Kara was back at our house handing out candy, not UConn bars. Another neighbor stopped by dressed as Scot Haney. Dead ringer. 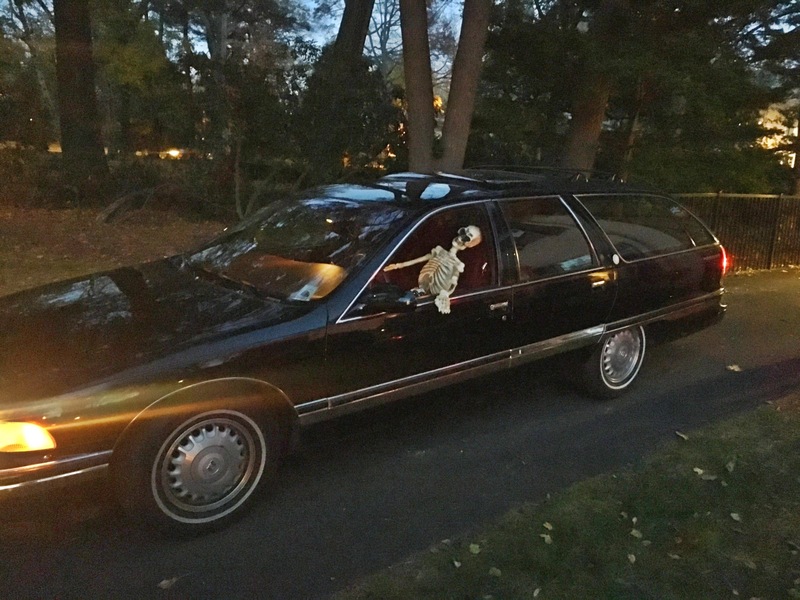 Speaking of dead, check out Bones in the Buick Roadmaster.